We really want you to get involved. Want to submit a Post? – just email us the content directly to learningfromdogs@gmail.com Clearly, we reserve the right to edit your contribution or, perhaps, decide that the content is not appropriate to our Vision. Please note that guest articles that link to a commercial supplier are likely not to be accepted. Simply because I do not wish to be seen to be favouring a particular supplier about whom that I have no personal knowledge. Links are most welcome – In most cases, if your Blog supports the ideas that we are conveying through our Posts then we are happy to have reciprocal links. Email us if you want to chat about this. Together, let’s spread the word that integrity and trust are the best ways for us and the generations to follow. It is so difficult knowing all these lovely dogs for so long and not being a part of their lives any more. Dear Pheebs, I will miss you , even though I have not seen you in so long, just knowing that you aren’t breathing the same air that we are anymore, fills me with such sorrow….for you, for Poppers, Rose, DuDu, for all you wonderful lot that have passed and are now sitting with your old dad in Heaven, …. you have made my life more full. Be careful Darling Lily, guard well, Pharaoh, walk straight Sam Sam, keep on the path Dahlia, old man Chester… all of you Payson pups…S.C. natives Poncho, Sasha and Niki, and all my lot ….send their love with a big WOOF. Hi there. 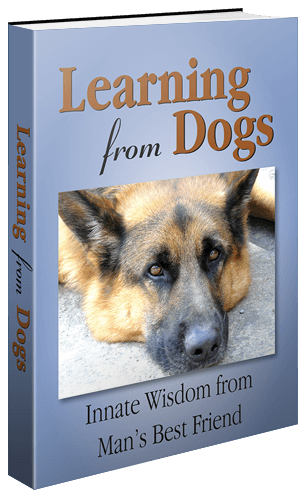 So glad to see all the updates and new menu on Learning From Dogs. I think we have already many links between us, but here’s to more collaboration in 2016. Happy New Year. Agreed! Happy New Year to you. Great site you have Paul! Have an awesome day! Thank you, Linda, thank you very much! Best wishes in return to you. Oh, thank you. That’s very special to me to read what you have written. Please check you email. I have submitted my guest blog for your review. Thank you very much for the invite! Of course there’s no obligation to participate, but you might find it fun, who knows? Can’t resist! I will use the first three days of next week for the quotes!